Not a very long time ago, if you had to make a payment in India, there were only a few options available; you could either pay by cash or swipe your card. Today, payment technology has undergone nothing short of a revolution, with multiple payment methods opening up that focus on convenience and security. One of the latest payment trends of 2018 in India is NFC payments. Near Field Communication (NFC) technology promises a transaction experience that is faster, safer and easier than most other modes of payment available today. While NFC payments are already popular in Europe and USA, they are only now making a foray into the Indian market. Here is everything you need to know about this payment technology that could forever change how we conduct transactions. With NFC technology, making a payment could be as simple as tapping a device. For this technology to work, two devices need to be embedded with an NFC chip. When both devices are placed close to each other, they can exchange information through radio waves. This communication allows information such as the amount to be paid, the payee’s details and the recipient’s payment details to be accessed and the payment to be confirmed. NFC payments are also one of the most secure payment methods as it requires a biometric verification to authenticate the payment. This almost completely eliminates the risk of fraud as only the user can validate the payment. 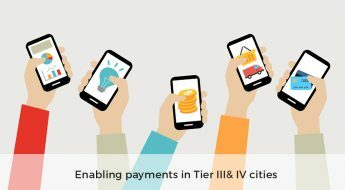 With the government’s push for greater adoption of digital payments, methods that enable payments in tier II and III cities are coming into the limelight. NFC technology has a clear advantage over many other payment methods because it can be adopted even in the most remote locations. Since NFC payments operate through radio waves, they do not require a fast internet connection, the way that digital wallets such as Google Pay and WhatsApp Payments do. It also does not require a very high level of digital literacy as users only have to tap their device to make a transaction. Even users in larger cities without any of these obstacles stand to benefit from NFC payments. As this technology is one of the fastest modes of payment, it can reduce queues and wait times drastically. In India, there is also plenty of scopes to integrate UPI with NFC payments, making transactions even more simple. While the potential of NFC payments in India is huge, its current status is not without its limitations. In order for NFC payments to work, both devices have to be embedded with an NFC chip. Currently, most smartphones do not come with this feature. The smartphones that do, such as Samsung Pay and Apple Pay, belong to the high-end category. As a majority of the smartphones bought in India belong to the low and mid-range segment, many users won’t be able to access NFC payment features. Additionally, since NFC payments are two-way, POS machines also need to be equipped with the NFC chip. Getting this feature can be expensive, putting it out of the reach of smaller merchants. Currently, NFC-enabled POS machines can cost up to Rs. 10,000. Affordable mPOS machines are rapidly gaining popularity among smaller cities and towns in India. NFC payments might not be able to compete with them until they become more affordable and widespread. NFC technology is also unlikely to offer any major benefits to e-commerce sites as they require a physical interaction between both chips. In this space, digital wallets might still reign supreme. With its aim of becoming a cashless society in mind, the Government of India has introduced a number of measures to make NFC payments more popular among Indian users. The Ministry of Finance has encouraged several banks to issue debit cards with an NFC chip embedded to enable NFC payments. The goal that the government has set is for a larger number of NFC-enabled cards, also known as ‘contactless cards’, to be issued by the end of 2018. With this period quickly approaching, it remains to be seen if there is an actual increase in the number of contactless cards being issued. These cards can address the affordability obstacle standing in the way of NFC payments, as they are only expected to cost around Rs. 30 more than regular cards. NFC payments have the potential to reach even the smallest cities and towns in India and lead the charge for a cashless payments movement. With support from the government and innovation in NFC devices, we could soon see a greater adoption of this technology in India.